The Brain and Spine Institute at John Theurer Cancer Center, part of Hackensack University Medical Center, is the only comprehensive neuro-oncology center in New Jersey. Our specialized team provides customized therapies for people with primary or metastatic brain tumors, as well as care for the various neurologic complications that can occur with cancer. You’ll receive personalized treatment from brain and spine tumor experts who trained at the world’s best academic medical centers. We offer you advanced treatments based on the latest medical research, as well as opportunities to participate in studies of promising new therapies in one of the nation’s leading centers for brain tumor clinical trials. Our goal is to treat your brain tumor while taking into account all physical, functional, emotional, and quality of life aspects of your disease. We don’t just care for you, but about you. In fact, according to Press-Ganey surveys, 99 percent of our patients report satisfaction with their care. The care of people with brain and spine tumors is complex and requires the expertise of doctors from multiple areas of medicine. Our team includes neurosurgeons, neuro-oncologists, radiation oncologists, pathologists, intensivists, neuro-radiologists, otolaryngologists, neuro-pathologists, palliative care providers, nurses, social workers, physical and occupational therapists, and others with experience treating people whose lives have been affected by these cancers. The team meets regularly to discuss and create the best treatment plan for each of our patients. When you come to us for your care, you’ll see the same physician at every visit who gets to know you and your family, is available to address your questions and concerns, and provides a personal level of care that can be hard to find elsewhere. 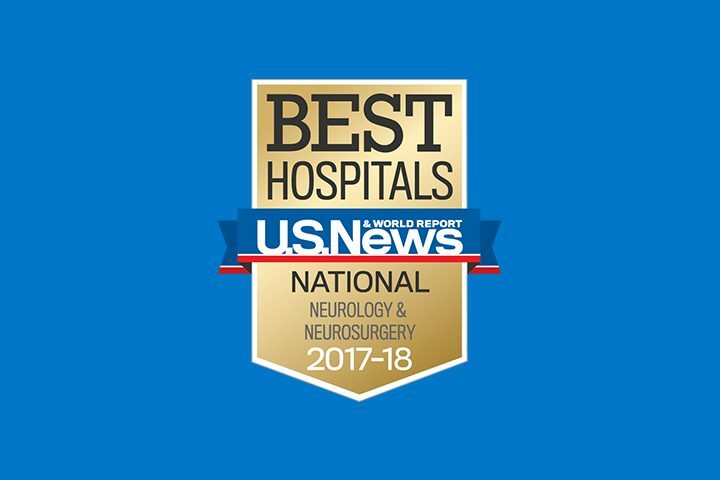 U.S. News and World Report has ranked the neurosurgery program at Hackensack University Medical Center as one of the best in the country. Our neurosurgeons complete more than 100 brain and spine tumor operations each year and receive many referrals from area hospitals and cancer specialists. If your tumor is operable, we do extensive planning before and monitoring during the procedure to perform the safest and most effective operation, removing as much tumor tissue as possible while aiming to preserve vital functions such as speech. We perform all surgical procedures using the least invasive approach possible, including endonasal (through the nose) “scarless” techniques to remove pituitary tumors, craniopharyngiomas, meningiomas, and other skull base tumors. The Department of Radiation Oncology at John Theurer Cancer Center (JTCC) was the first in New Jersey to offer stereotactic radiosurgery for brain tumors and other brain lesions. The newest and most advanced radiosurgical device—The Leksell Gamma Knife Perfexion® system—uses precision beams of high-dose radiation to treat brain tumors, and forms the centerpiece of the Viswanathan Rajaraman and Mary Sundaram Radiosurgery Center. If your treatment plan includes radiation therapy, you will receive the most advanced treatment available in a modern and comfortable radiation treatment center. In many cases, clinical trials offer the most hope for people with brain and spine tumors. The Brain and Spine Institute ranks among the top 10 centers in the country in clinical trials for primary brain tumors, including studies evaluating new devices, innovative immunotherapies, gene therapy, and novel anticancer drugs. The treatment of brain tumors has been a clinical challenge, with many anticancer drugs unable to penetrate tumor tissue, and tumors eventually becoming resistant to those that do. For many patients with brain and spine tumors, therefore, the greatest hope for effective treatment lies in clinical trials of investigational therapies—including those that target the molecular abnormalities driving cancer growth. We perform a genomic analysis of each patient’s brain tumor, yielding information we use to choose the most effective treatment and the best clinical trial. Your team will match you with the clinical trial that is best for you. We also maintain a brain tumor tissue bank—a rich resource for investigators seeking to better understand the biology of cancer development and to identify new avenues of attack to improve outcomes for people with brain tumors everywhere. Eighty percent of our patients with primary brain tumors participate in clinical trials—50 times higher than the national average. The Brain and Spine Institute has its own program of Phase I clinical trials, offering opportunities to receive novel therapies being evaluated for the first time in patients. We are a main member institution in ALLIANCE, a collaborative of the National Cancer Institute. Your care team will let you know of your eligibility for a clinical trial. The ideal treatment for a brain tumor involves removing all of the cancerous tissue. Sometimes this is not possible—either because the tumor is not accessible, or because it lies near parts of the brain responsible for speech, sight, and other vital functions. In the latter case, JTCC neurosurgeons use “neurophysiological mapping” to pinpoint which parts of the brain control those functions and should remain in place, and which tumor tissue can be safely removed. They accomplish this by stimulating those parts of the brain during surgery, and operating around functional areas once they are identified. Sometimes the patient is awake during this process, while in other cases it can be completed while the patient is sedated. Neurophysiological monitoring is one of a suite of techniques our doctors use in the operating room to refine brain tumor surgery. Intraoperative ultrasound, fluorescent dyes, and sophisticated navigation systems enable our surgeons to distinguish tumor tissue from normal tissue, making surgery as precise as possible. Our neurosurgeons are also refining the use of magnetic resonance (MR)-guided “laser interstitial thermal therapy,” in which extreme heat given through a thermal probe is used to kill brain tumor. Real-time MR imaging allows the surgeon to see where tumor tissue has died. Novel approaches such as these are transforming the surgical treatment of brain tumors in ways never achieved before.